Is it ‘Brighton Pier’ or ‘the Palace Pier’? ‘Hilton’ or ‘Metropole’? ‘Holiday Inn’ or ‘Bedford’? ‘Brighton Dome Concert Hall’ or ‘the Dome’? ‘South Lanes’ or ‘Lanes’? ‘The North Lanes’ or ‘North Laine’? It is of course the latter in each instance. I recently met with Dr Graeme Davis, a Hove-based language specialist, research fellow and generally good fellow, to discuss the origins of the word ‘laine’ and why ‘North Lanes’ may be more acceptable than local wisdom suggests. Brighton, back when it was called Brighthemstone or similar, was surrounded by five tracts of farming land. The conventional logic today is that these five pieces were called laines. Old maps mention them as West Laine, North Laine, East Laine, Hilly Laine and Little Laine after all. Although lane and laine are pronounced exactly the same, the suggestion is usually that they are two completely distinct words where the former refers to a passageway (as in the Lanes) and the latter refers to a field (as in North Laine). Graeme believes that lane and laine were essentially exactly the same word. In the case of the five fields around Brighton, the word laine came about through, perhaps, deliberately lengthening on a map (a common practice apparently) or simply as a spelling mistake which has stuck. 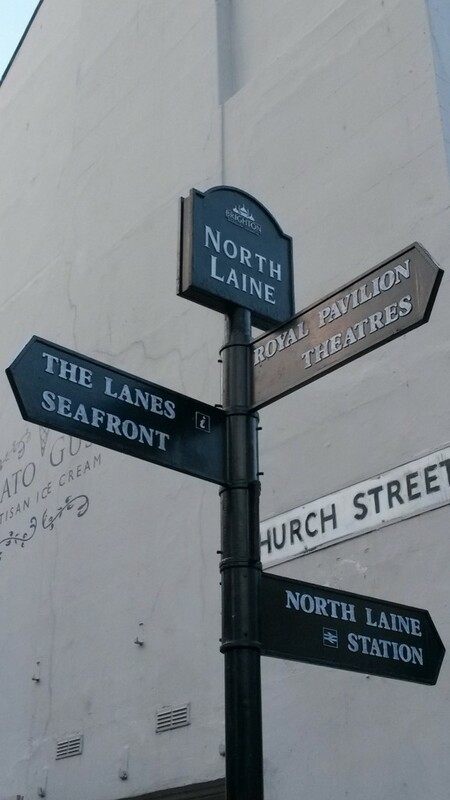 Either way, what is certain is that this old spelling was revived by Brighton Council during the 1950s when the term ‘North Laine’ was bestowed upon the area that we know today in accordance with its historic location. Graeme suggests that the word had been dead for a century and a half and few at the time would even have recognised it – an example of mythologised history. If a field was essentially being called a lane, the argument is that fields consisted of a number of passages between the smaller sections (‘paul-pieces’) of which they consisted. Without an ‘i’ and pluralised, we get ‘North Lanes’. Pedants like me may be horrified but the case stacks up. 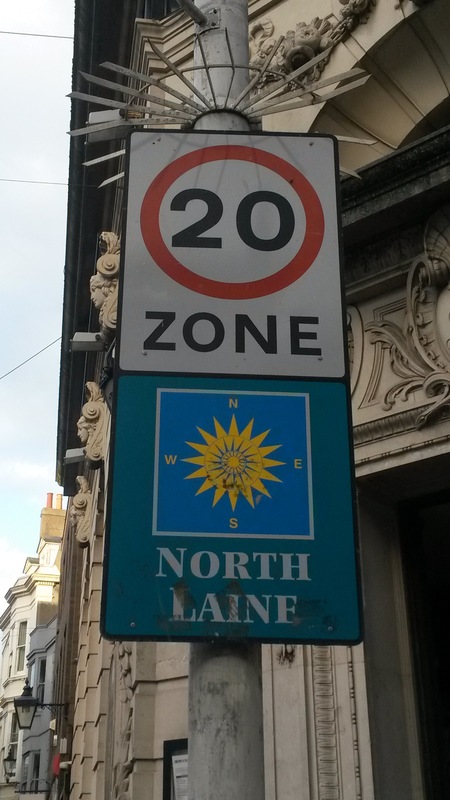 Cllr Jason Kitcat recently announced proposals to rename the Preston Street area ‘West Laine’, perhaps unaware that North Laine was named in a similar manner some years previously. I cannot predict whether or not the term would be successful. What is certain is that somebody like me will be writing a column sixty years from now explaining why ‘West Lanes’ may not be as bad as pedants of the future suggest. 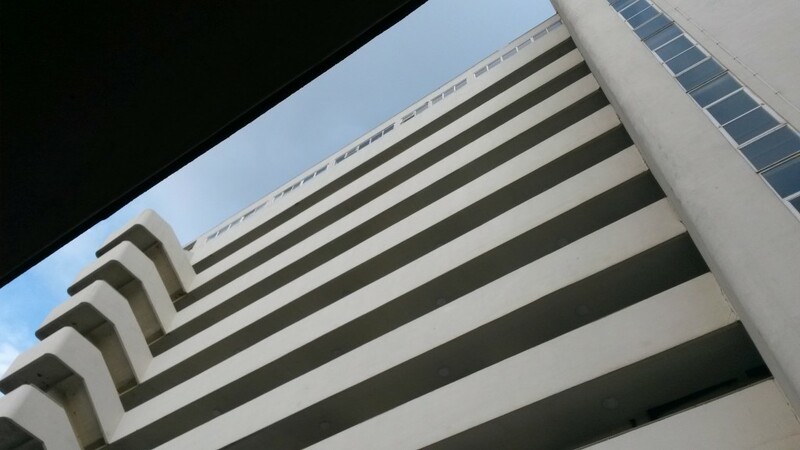 It was ten years ago that work started on transforming Embassy Court from one of the most hated buildings in Brighton & Hove into one of the most appreciated. In 2004, it would have been hard to imagine Embassy Court in its original 1930s glory. Flats were all rented initially, and rents were once £500 per year, which was incredibly high considering that a whole house in Peacehaven could be purchased for £300 at that time. Successive difficult freeholders and leaseholders were responsible for the decline of the building. It wasn’t until 1998 that the leaseholders, led by Hilary Imbimbo, were able to wrench the freehold away from the freeholder of the day, Portvale Ltd. It was some years before further legal wrangles could be overcome, and funds raised to overhaul the famously-deteriorating rust-stained exterior. The 2004/5 works, carried out by architects Conran & Partners, cost something in the region of £5 million. Flats were then regularly popping up at auction for £50,000. They are now each worth well over £300,000. The determination of the leaseholders of Embassy Court must be praised. A number of problems remain though despite attempts to fix them in 2013. 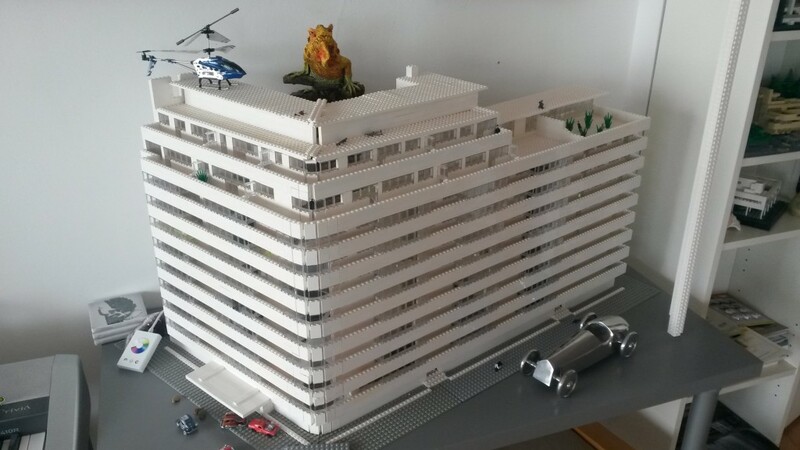 One leaseholder, who loves the building so much that he has constructed a scale model of it in Lego in his lounge, feels that several basic errors were made in the 2004/5 works. One example is that balcony doors were changed to open inwards rather than outwards. Water now floods in. The number of panes of glass per door/window was increased leaving more gaps for water to attack. Another particular error relates to some rather attractive mauve terracotta tiles that line the parapet wall of each balcony around the building. Apparently, it was noticed early on that each expands which means a lot of movement beneath balcony windows when a whole row moves. It is thought that Walter Gropius, founder of the Bauhaus School in Germany, was brought in to investigate after the problem was noticed during the hot summer of 1936. The problem was rectified at the time by changing certain window details but then recreated in 2004/5. It is yet to be remedied for a second time. The involvement of Gropius – one of the founding fathers of modernist architecture – was not unexpected. After escaping Germany, he lived in the distinctive Isokon building in London, also by Wells Coates, the architect of Embassy Court. The weekends of 18th/19th and 25th/26th October will see environmentally-friendly buildings across Brighton & Hove open their doors for Eco Open Houses 2014. The line-up is better than ever. This year’s programme features nineteen buildings including some of the old favourites such as 15 Lloyd Close in Hove, the Earthship in Stanmer Park, and the Smart House in Brighton, and several new ones. One of the new entries, 201 Portland Road in Hove, was still a building site when I visited but it will be ready for the 18th, Claire Potter assures me. 201 Portland Road was built as a public toilet block, perhaps during the 1950s. When Claire began leasing the red-brick single-storey structure from Brighton & Hove City Council two years ago, it was derelict and contained not a single toilet. The ladies’ toilets were once on the right; the men’s on the left. The main dividing wall had been removed already which creates a space that is just the right size for Claire’s design practice. Her team of four or so, which specialises in interior architecture/design, landscaping, graphics and branding, will fit inside perfectly. 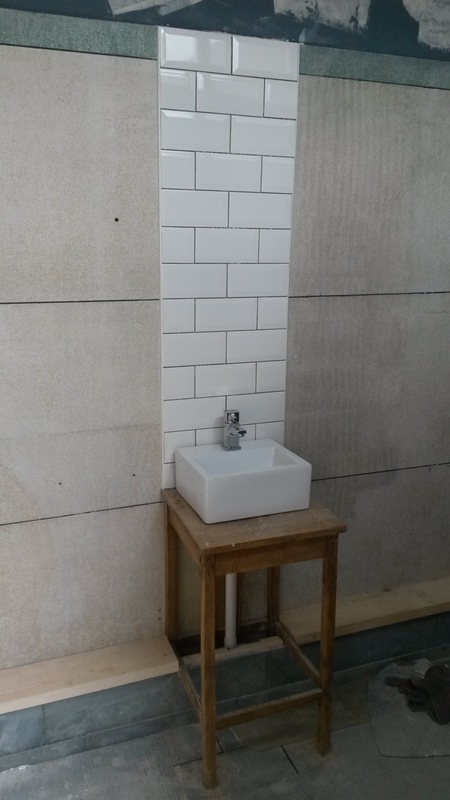 Remnants of the old toilets such as their terrazzo backdrops (which are to be polished) and their wall brackets will live on in Claire’s new studio which is a theme in the project generally. All sorts of items have been recycled to make the project happen in a less harmful way including scaffolding planks (now serving as worktops, partitions and cladding), an old stool (now serving as a sink pedestal) and a kitchen sink (now serving as, well, a kitchen sink). Parquet flooring has been reclaimed from a church in Hastings. Even the paint, from Newlife Paints, has been recycled. 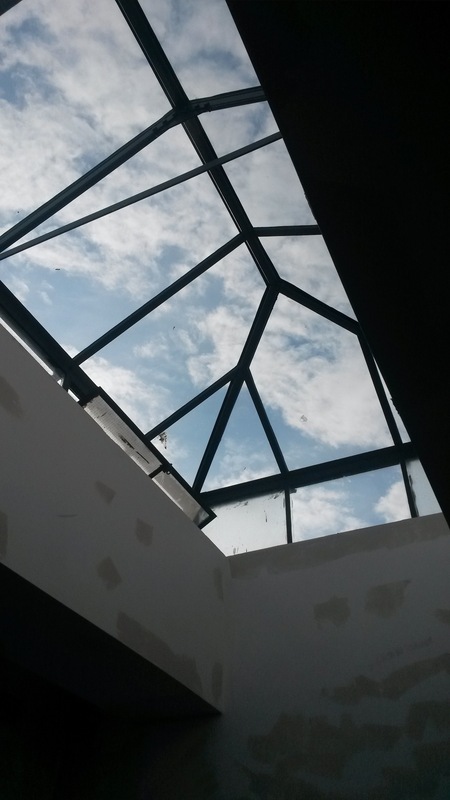 The most distinctive internal feature is two glass roof lights which are single-glazed. Replacing all of the individual panels would be prohibitively expensive so secondary glazing is to be used. 150mm Celotex boards have been used to insulate the concrete roof internally, and 100mm on the floor. Outside, new planting (in scaffold-plank planters) includes golden sage, garlic chives, lime mint, apple and roses. If Claire’s partner, Mark, and his father, Roger, keep up the pace that I witnessed on my visit, I have no doubt that all will be ready for the 18th. It has to be worth visiting just to see if they make it within the deadline. See www.ecoopenhouses.org for details. When the Grand Hotel opened on the seafront in Brighton in 1864, it was the town’s tallest building. St John the Baptist’s Church beside Palmeira Square became the tallest in Hove when it opened in 1870. Tall buildings were off to a good start. It is hard to identify exactly when feelings hardened but there is certainly a mood against tall buildings presently. We saw opposition to a building of just 13 storeys throughout the Circus Street planning process. Planning applications for tall buildings are fought tooth and nail, and usually fail at some point in the process. The long list of unrealised dreams includes proposals for towers at the King Alfred, Brighton Station, Medina House and Brighton Marina. The tallest building in Brighton & Hove today is Sussex Heights at 102m. 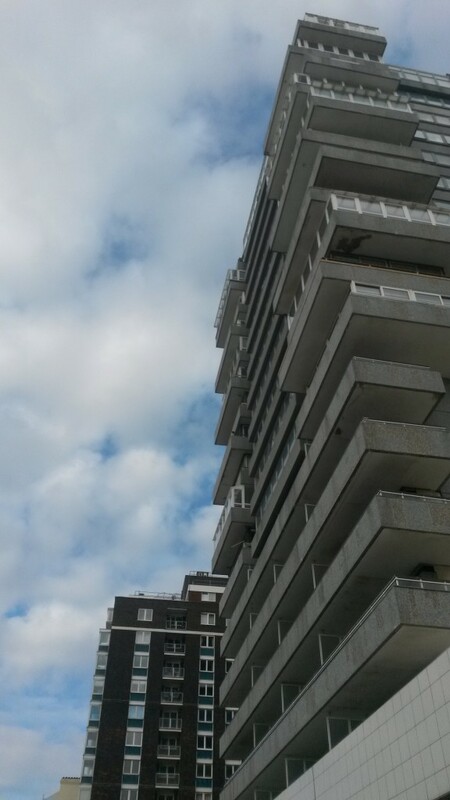 It was completed in 1968 and consists of 24 occupied floors and 116 flats. Next is Chartwell Court and then Theobald House. To put this into perspective, the tallest building in Sussex is Shoreham Power Station at 106m (and the tallest in the world is the Burj Khalifa in Dubai at 828m). Brighton & Hove City Council defines new tall buildings as those which are 18m or over, which is approximately six storeys. With that in mind, the tall buildings of the 1930s were a success. Embassy Court, Furze Croft, 4 Grand Avenue and the others are each both architecturally-acclaimed and, just as importantly, popular. Opposition to tall buildings, towers in particular, is hard to explain. First and foremost, it boils down to the quality of those which we have already. Sussex Heights, which I once very much enjoyed as my home, has no decorum at ground level. 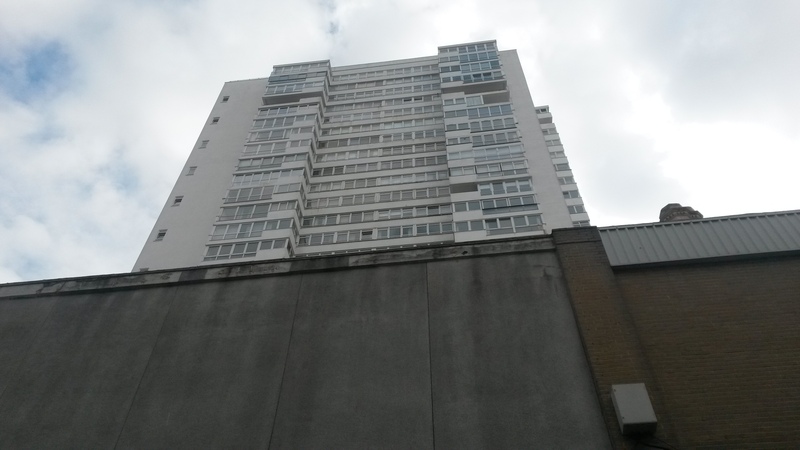 Like, Chartwell Court and Theobald House, it was built on top of something else. The blocks on Grand Avenue are most unimaginative but at least they are managed well. Those near Hove Station or beside Edward Street are both ugly and badly-run. The council proposed a collection of ‘nodes’ and ‘corridors’ in 2003 which made sense. Little has flowed form this though. I would particularly like to see groups of tall buildings opposite Preston Park and others surrounding the new Circus Street development. Although the proposed i360 is unpopular now, it does, at 172m, have a chance to change opinion. Having lived in a tall building, I know how incredible views can be, even from just above normal roof level.